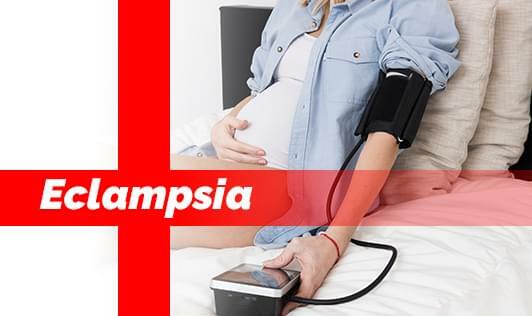 Eclampsia is the onset of convulsion caused by ill-managed preeclampsia. It may occur quite abruptly without any warning manifestation. It is more common in primigravidae, elderly mother aged above 35 years and pregnancy with twins or triplets. The onset of convulsion occur most commonly beyond the 36th week of pregnancy, rarely can occur in early pregnancy. The patient should be shifted urgently to the hospital in order to prevent severe complication and distress.